Committed to delivering exceptional medical care Melissa N. Marchand MCMS, PA-C is a board certified Physician Assistant. She completed her Physician Assistant training at Barry University where she received her Master’s degree in clinical medicine. She is a member of the American Academy of Physician Assistants, as well as the Florida Association of Physician Assistants. Melissa is originally from Southern California where she spent most of her life and received her Bachelor of Arts in Social Sciences from the University of California, Irvine. 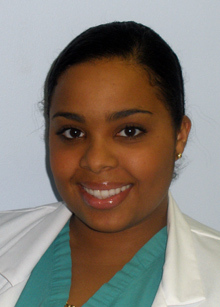 Of Haitian descent, Melissa feels that being fluent in French and Creole gives her the ability to further impact the medical, and more specifically the urological, needs of the South Florida community. Above all, she is dedicated to making patients feel comfortable, informed, and empowered.